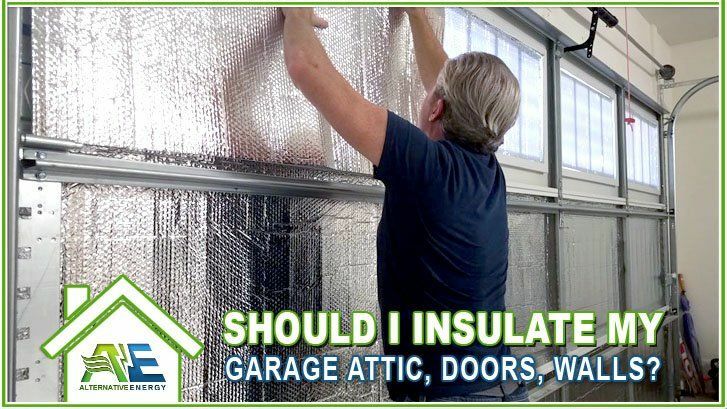 We hear a lot of homeowners asking the questions “should I insulate my garage“, “should I insulate my garage attic“, “should I insulate my garage door“, “should I insulate my garage walls” and “should I insulate my attached or detached garage“. The short answer to these questions are “Yes”! But, the real answer to the question depends on your needs for your garage space. Below we will outline whether you should or shouldn’t insulate certain portions of your garage or not, reasons why each type of insulation should be used and what else you can do to cool or heat your garage more effectively. The Most Important Thing You Should Know About Garage Insulation!! No matter how much insulation you install in your garage, without a secondary heating or cooling source, you will never achieve a totally comfortable garage (unless you like really hot or cold temperatures). If you already have your HVAC unit connected to the garage then you are a third of the way there. However, if you are like most of us that don’t have fancy a/c or heating units connected to our garages then you are going to need the full boat. The real key to achieving a totally comfortable garage is by installing garage attic insulation, garage door insulation and a garage heating and cooling unit, also known a garage mini split (And install garage wall insulation if walls are in really poor shape). Below we will answer the questions to each type of insulation but keep in mind your garage will only get about 20 degrees difference (up or down) by adding insulation. If colder or hotter states, a mini split can work for either purpose. For example: If you live in Arizona, only adding garage attic and door insulation would only mean dropping the temperature from 120 to 100; which is still too hot for any human or pet being to be in there for too long. Adding a garage mini split into this scenario could get the temperature down as low as you like while the insulation keeps all that cool air in for longer. Should I Insulate My Garage Attic? The garage attic is where a lot of the heat comes in to your garage during warmer months of the year. If you live in Sunny states like Arizona, Texas and Florida, insulating a garage attic is a must if you want to keep your garage cool enough to withstand for short periods of time. 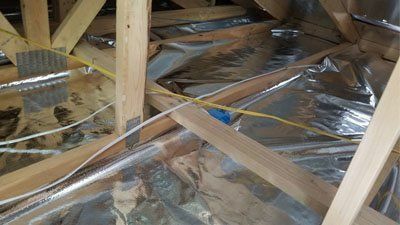 However, if you plan on spending any real time in your garage, meaning hours or more, you are going to need a lot more than garage attic insulation to make the temperature manageable enough to withstand for long periods of time. If you are planning on turning your garage into a workshop, your next step should be to insulate your garage door. Your garage door is just as important to insulate as garage attic insulation. The garage door typically has gaps and small cracks where air can get through easily. On a cool day that might be fine but, during the middle of the summer in Arizona where temperatures are near 120 degrees or above, those small cracks can turn into jet streams of hot air. You can use all of the garage attic insulation you want but if you don’t insulate the garage door you are still going to wind up with a hot garage. Should I Insulate My Garage Walls? 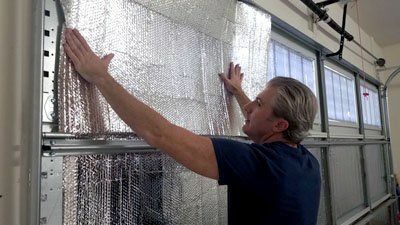 Insulating the garage walls is a very controversial topic as one could say that insulating garage walls is important if the garage walls aren’t sealed properly, have a lot of holes or cracks, aren’t using the right drywall or you can literally feel cool or warm air blowing through them. Otherwise, insulating the garage attic and garage door should be enough. Those 2 areas plus a garage mini split heating/cooling unit will give you the opportunity to keep the garage whatever temperature you like. Only install garage wall insulation if your walls are in really poor shape, otherwise you are just wasting money by over-insulating. Should I Insulate My Attached Garage? Yes, insulating an attached garage is a must if you don’t have a central a/c or heating system that extends into the garage space. 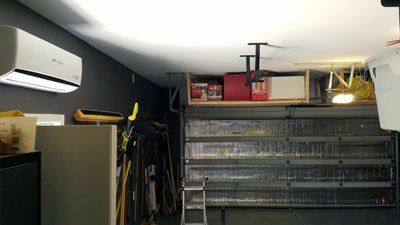 A lot of homeowners want to turn their attached garage into a workshop so insulating the garage attic and door is a must if you plan on doing something similar. Should I Insulate My Detached Garage? Yes, insulating an attached garage will get you 2 steps closer to obtaining the workspace or studio of your dreams! Furthermore, adding a mini split heating and cooling unit will make your detached garage a second home. You can literally use the space for whatever you like. Do I Need A Garage Mini Split? If you want to cool or heat your garage effectively, installing a garage mini split along with garage door and garage attic insulation are the most important steps to achieving that goal. The mini split will help cool or heat the space and the garage attic and door insulation will seal the heat or cool air in for longer. Without insulation your mini split will have to run longer and cost you more money in electricity. Alternative Energy are experts with installing Garage Insulation & Garage Mini Splits in Arizona, Florida & Texas. 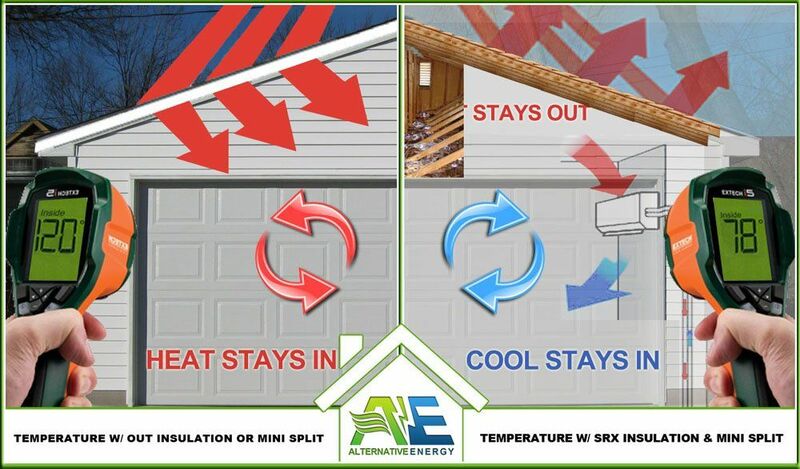 Receive a Free Quote for garage insulation or garage mini splits by giving Alternative Energy, LLC a call today at (480) 744-1803.